Crossroads Resource Center, a non-profit organization, works with communities and their allies to foster democracy and local self-determination. We specialize in devising new tools communities can use to create a more sustainable future. Ken Meter is one of the most experienced food system analysts in the U.S., integrating market analysis, business development, systems thinking, and social concerns. Meter holds 47 years of experience in inner-city and rural community capacity building. His local economic analyses have promoted local food networks in 140 regions in 40 states, two provinces, and three tribal nations. He developed a $9.85-million plan for local food investment for the state of South Carolina, and completed similar studies for Hawai’i, Alaska, Mississippi, Indiana, Ohio, and Minnesota. Three of these were commissioned by state departments of health. He researched the economic impacts of institutional food purchasing for the CDC and the Illinois Public Health Institute, and developed strategic regional food plans for Kansas City, Kansas; Maricopa County, Arizona; Metro Nashville; the San Luis Valley of Colorado; Polk County, Wisconsin; Great Falls, Montana; Central Louisiana; the ArkLaTex region near Shreveport; Northeast Indiana; suburban Denver; rural North Dakota; the Rappahannock-Rapidan Region of Virginia; the Lakes Region in Maine; Lewiston-Auburn, Maine; and Spokane, Washington. Meter consulted with the USDA Agricultural Marketing Service and Colorado State University to help write a toolkit for measuring economic impacts of local food development. He is currently one of 3 co-editors of a forthcoming international book covering food system assessments to be published by Routledge (UK). Meter is also a member of the International Economic Development Council, and has presented at several annual meetings. He has taught at the University of Minnesota and the Harvard Kennedy School. Ken’s pioneering study of the farm and food economy of Southeast Minnesota, Finding Food in Farm Country, helped strengthen a collaborative of food producers and led to the creation of the Hiawatha Fund, a regional investment fund. This work serves as a national model for analyzing rural economies, applied in the studies listed above. Meter’s innovative tool for measuring financial assets in low-income communities, the Neighborhood Income Statement and Balance Sheet, helped spark development of the Latino Mercado in South Minneapolis. As coordinator of public process and indicator selection for the Minneapolis Sustainability Initiative, Meter led the citizen effort to define a long-term vision and indicators for the city, which helped the city win a national award. He has also served as planning commissioner for his hometown. 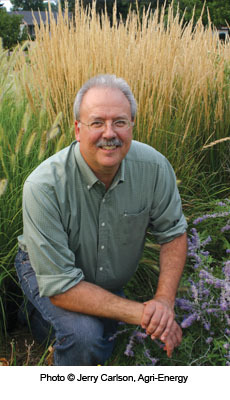 Ken Meter serves as a consultant to the USDA, EPA, the Minnesota Pollution Control Agency, and several universities. He managed the grant review panel for USDA Community Food Projects Competitive Grants Program. Ken is an Associate of the Human Systems Dynamics Institute, and taught the “Economic History of U.S. Agriculture” at the University of Minnesota and graduate-level Microeconomics at the Harvard Kennedy School. As a former member of the American Evaluation Association, Meter wrote a chapter of Systems Concepts in Evaluation: An Expert Anthology. Download Ken Meter’s full résumé. Click here to download a Brief Bio of Ken Meter (single paragraph).